How come the March 17 caucus date is not on the election calendar? The calendar is for election dates that are set in the statutes. The caucus dates are set by the political party and are party run. [D]o you have any legal sources who could advise on what effect, if any, the move to the caucus system will have on primary contests below the Presidential level? Does this mean that other state and federal offices will also have primary contests settled in the caucuses? That could be interesting. In my opinion it is being done so the establishment GOP can have more control over the process and the people… ….and of course raise filing fees from 1,000 to 10,000 dollars. I don’t want to be a caucus state. I am opposed to that. Missouri’s primary has been in February; it was 4 years ago, and in my opinion [should] remain there. Just because the national RNC wants us to do as they say is no reason to change. Especially when other states like Florida, Nevada and Arizona to name just a few refuse to bow to party establishment rules. Lloyd Smith is wrong and just being the establishment’s pet boy so he can stay in a nicer hotel room in Miami. I will not put Missouri second to national RNC rules that make no since; others states won’t follow and put Missouri into a second class status in selecting a president. There was no vote on having Missouri Caucus for the primary election – that was done unilaterally by the Missouri Republican Party and Mr. Lloyd Smith – I oppose the caucus. As for if we can rescind the decision; I have no power to do so – the republican party of Missouri has said that it is more important to it that the RNC rules are followed than giving Missouri a voice. The Republican party and, specifically, Mr. Lloyd Smith has said that no matter what in order to ensure that national party boss demands on timing of a Missouri election are followed instead of Missourians voices heard on the matter he and it will not follow the results of the election even if it is held. The other state and federal races in MO will have their normal primary schedule in Aug separate from how the presidential primary is conducted. About 10 yrs ago, we had an election that voted in the primaries. We felt that this would encourage more people to be involved in the process. Interestingly enough; many County Clerks have told me that the elections only brought out about 12-13% of the voters. That’s basically the same as when we did Caucus. So although it sounds like we are losing our voice, we really aren’t. If you are a registered Rep or Dem you can go to that caucus in your county on March 17. I you or anyone else would like me to come and speak on this issue I would be happy to do so. This caucus system is ONLY for Presidential – not any other races. Also, the caucus place and time will be posted in the newspaper and hopefully on the radio news. Hope this info; although brief; is helpful. Missouri [had] just become a primary state within the last few years. In 1996, I was an alternate delegate to the convention in Springfield, MO. The caucus system was how I became involved in politics. I learned how it works — whoever can get the most people to show up in favor of one candidate or another can control who will get the party nomination. The decision to use a caucus this year for the Presidential Primary should not have any effect on other elections. Missouri Revised Statute Section 115.339 requires candidates for elective office to be nominated at the primary election. Since the office of the President is not elected by popular vote as state officials and representatives in Congress are, the parties retain control over how its delegates are chosen for that office. As such, using a caucus instead of a primary for the state and federal offices would probably not constitute a popular vote for those offices and violate both the U.S. Constitution (with respect to federal offices) and state law (with respect to candidates for elective state offices). The St. Louis Beacon published a long article on Senator Jason Crowell quoted below. Senator Crowell will come up against the limits for service at the end of his current term, and several parties has asked if your humble blogger thought he was ready to move on to higher office. I’ve never met Senator Crowell but have exchanged e-mail, so I have no basis to comment. The fact that he’s still raising money lends credibility to the claim he’s moving on up. I was particularly impressed with Senator Crowell’s tactic at the beginning of the 2011 Missouri Special Session to filibuster the ‘call’ of the session. A friend and newly elected Senator, Brian Nieves, was extremely complimentary of his knowledge of Senate rules and methods. Sen. Jason Crowell may not be a household name to most Missourians. But the Republican from Cape Girardeau is getting a lot of credit — and blame -— for what passed and what didn’t make it through the Missouri General Assembly’s meandering seven-week special session, which ended today. Despite avoiding formal leadership positions in the Senate, during his seven years there Crowell has used the strength of his personality, vigorous advocacy of his positions and strategic legislative alliances to shape major issues in Jefferson City. In helping steer the General Assembly’s upper chamber toward making big changes to popular tax credit programs, Crowell was one of the senators who directed the Senate into a mortal collision with the House during the special session. Whether it’s building a new power plant in Callaway County, redrawing the state’s congressional districts, altering state worker pensions, changing the state’s presidential primary or reshaping its tax credit programs, Crowell is often at the center of the fight and a key player in moving big bills forward. He’s also adept at killing bills, even ones that seem to have wide-ranging support. Stalling legislation is common in the Missouri Senate. But other lawmakers and observers say that Crowell has been especially effective. Even his political opponents concede his skills — developed over years of unlikely mentorships, extensive research and seemingly countless legislative battles. “I will say that Jason Crowell’s a brilliant young man,” said state Rep. Dwight Scharnhorst, R-St. Louis County. But other House members are especially critical of how Crowell — as well as other senators — can use their positions to become the gatekeepers and decision-makers on big bills. And detractors wonder aloud whether Crowell, 39, has created a Senate that’s constantly the graveyard for high-profile legislation. Indeed, Crowell will leave the Senate after 2012. And like many term-limited lawmakers, speculation already abounds about whether he’ll run for higher office. For his part, Crowell said he’s not focused on climbing the political ladder or pleasing potentially helpful interests. And he added, it’s important sometimes for the legislature to slow down to go forward. The Senate is the place where bills should go to die; unfortunately, calling them legislators makes them think they need to “legislate!” We’d like to see them remove 5 laws and regulations for each new one they enact! The “$64 billion question,” Jones said, is why Crowell is doing what he’s doing. “I have actually asked myself the same thing — what is the endgame? What is the goal? Does he have a higher purpose in this?” Jones said. Crowell — who told the Southeast Missourian earlier this year that he had made “no concrete decisions” about running for statewide office — said his objections during redistricting “had nothing at all” to do with wanting to run for the 8th Congressional District House seat. 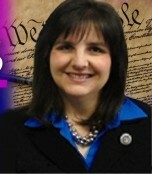 “I have been running from Congress since I turned 20,” Crowell said. Often, Crowell said, people seeking higher office have to compromise on their principles to get ahead. Still, Connor said Crowell may be positioned as an “anti-establishment” figure if the political bug bit in the future. In the meantime, Crowell said many of his goals after he’s term-limited out of the Senate are more personal than political. Crowell — who said he let politics “kind of run my life” for past few years — this month married Casey Hertenstein. Crowell said he is looking forward to starting a family and figuring out what he “wants to be when he grows up.” As for his lasting legacy as a senator, Crowell said he’s been honored to serve. Below is a good article about the newly passed Missouri Science and Innovation Reinvestment Act (MOSIRA) by Cynthia Davis – former Missouri House Member from St. Charles County, MO. Below that is the list of how your local representatives voted. One of the actions of the legislature during this special session was the passage of SB7, also known as MOSIRA. The Acronym stands for Missouri Science and Innovation Reinvestment Act. In short, it allows the taxpayers to subsidize science experiments. The selling point is that some businesses pay high wages and having a tax credit would help to incentivise these types of companies to stay in Missouri. This is wrong on two levels: First, it allows for an involuntary redistribution of the wealth. In a socialistic government this would be normal. In a free market economy, this does not allow the businesses to stand or fall on the value of their contributions to society. Some of the greatest inventions known to mankind were not subsidized by the taxpayers. They were the fruit of human ingenuity using their God given skill, effort, imagination and wisdom. The second point of concern is that this opens the door for our state to do taxpayer funded human cloning. Some people are fuzzy about whether life begins at conception, but there is no other obvious point of beginning. Everything after that is part of a growth continuum from the point of origination. Although Missouri already has laws acknowledging life begins at conception, our laws are now conflicted and there is a vast gray area because of the convoluted wording of Amendment 2 in 2006. Human cloning for the purpose of experimentation in the laboratory has never been outlawed. We are at a very dangerous place in the history of our state and this bill, MOSIRA has the capacity to pitch Missouri into the moral abyss of human destruction for the benefit of others. Those who think human cloning is acceptable behavior are using the same logic that allowed slavery to exist. They say, “As long as it benefits me or my family, who cares?” However, an abortion that occurs in a test tube or a Petri dish is still an abortion. Many people walking the planet today stand as living proof that some human beings started their lives in a Petri dish and they are just as valuable as the rest of us. The most surprising part of this legislation is revealed by who voted for it. When I was first elected to the Missouri legislature in 2002, the vast majority of the legislators were pro-life. If we were aware that a bill allowing taxpayer funded cloning was about to come up for a vote, the result would be a resounding defeat. I am surprised to see how the thinking has shifted in nine short years. The bill passed with overwhelming majorities of the legislators supporting it in both chambers. It was sad to see how much the cronyism and lobbyist pay offs have affected the ability of the legislators to think for themselves. The Speaker of the House who pushed this bill had already accepted a quarter of a million from the cloning industry, not including the $25,000 bonus tip he received for good service from the cloning industry after he delivered the bill to the governor’s desk. The Governor signed the bill on Friday, October 21st, so it is now law. To read more about this from Missouri Right to Life, click here. Perhaps it is because of my experience as a parent, but I can tell when someone is lying and we shouldn’t tolerate this. I remember my senator telling me a story of when he was “double-crossed”. He had made a deal with the Democrats and after the vote, the Democrats went back on their word. At first I felt sorry for him, then I felt sorry for his constituents who were not well represented. We don’t have to allow this to happen. The taxpayers expect their elected representatives to be vigilant and expend the time necessary to become fully informed on bills before they come up for a vote. I always took my responsibility very seriously and considered it to be part of the honor and obligation of the position. We ought to never expect anything less. I urge you to have a conversation with your legislators about where they stand on the life issue. Here is some simple advice to the legislators: If you vote against a bill because you are unclear after carefully reading it, a good bill will come back again. If you pass it and find out later it is bad, it is nearly impossible to repeal it. We can stop our culture from deteriorating further if we remain vigilant to protect our constitutional legacy. All other candidates had zero to a couple of points. Steelmann and one other candidate (sorry, forgot the name) share the other 5%. Claire McCaskill is one of the most important elections since MO has the highest % points of states most likely to unseat an incumbent Democrat. Need 5 Senate seats for Republican to take over Senate…so this one election is one of the hottest/biggest, next to voting out Obama, in terms of national importance. So MO will be a key playing in the balance of shift of power in Senate race. Do you want to help finance the Barack Obama Re-Election Campaign of 2012? Do you want your tax dollars to help finance the Barack Obama Re-Election Campaign of 2012? But, if the President gets his way, that’s exactly what you’re going to be doing. At a joint session of congress, usually reserved for declarations of war and State Of The Union Addresses, Obama introduced his much-touted $447 Billion American Jobs Act – admonishing congress to “Pass This Bill” 17 times during his speech. You and I know it is nothing more than a political ploy that will be used to beat the Republican Presidential Nominee in 2012. Last week, the Democrat led Senate failed to pass the bill. Now, there is talk that the bill will be split up into various parts, and the American Federation of Teachers wants you to support the spending of $35 Billion of your Federal tax dollars to save 280,000 teachers jobs nationwide. That’s $125,000 per teaching job. How many of you are making $125,000 per year? They want you to continue to support the invasion by the Federal Government into our local schools with the usual government strings attached. Do we want that? They want to control everything from what your kids eat at school to whether or not you’re allowed to read The Bible between classes. Do we want that? They want to take more money from your grandkids and great-grandkids to give to teachers now. Do we want that? They want to take your tax dollars, funnel it through 280,000 teachers’ union dues, and finance their campaigns with help from their friends the union bosses. Do we want that? But, guess what, a $35 Billion Schools Bill sounds a lot better than a $447 Billion Jobs bill. And, it might sound just good enough to Roy Blunt, Claire McCaskill, and Jo Ann Emerson to vote for it. Heck, they voted for the Korean Free Trade Agreement which, according to the Economic Policy Institute, will cost 159,000 U.S. jobs and will have a net negative $20.7 Billion effect on the U.S. / Korea trade balance. Each month at our Third Tuesday Tea Time, the CCTP will ask you to Get Active! We’ll call it Takeaway Activism. This month we are asking you to contact your Federal Representatives to tell them to VOTE NO on the American Jobs Act and any other incarnation or portion of it. VOTE NO for spending increases. VOTE NO for more job strangling regulation. VOTE NO!! You may not have any practice calling or writing your Federal Representatives, well now is the time to get that practice. It’s time to Get Active! Our country is on the precipice, and we are the last defense of our Freedom and our Constitution. Our apathy has brought us here! Our lack of concern is failing our children and grandchildren. It’s time to Get Active! So, we ask you to call or write your Federal Representatives; call or write your Local Newspapers and Television Stations… …and tell your neighbors that if they want to prevent their tax dollars from paying for Elections and Re-Election of Democrats and President Obama, they better… …Get Active! Phone Numbers and Contact information is available on the CCTP Web Site at CapeCountyTeaParty.org. Americans for Prosperity (AFP) Cut Spending Tour will be in Cape Girardeau Friday, October 14th as outlined in our previous post. Be sure to click the button that says you will be attending. Also, in the upper left hand corner of the page, you can invite your Facebook Friends to attend also.